These days there's so much amazing new Star Wars content to get excited about! Some of the most fascinating and innovative projects by Lucasfilm come from the teams at ILMxLAB, which are developing incredible virtual reality experiences for Star Wars fans. We were just treated to a trailer for their latest creation, Vader Immortal, which brings you face to face with the Dark Lord of the Sith himself. 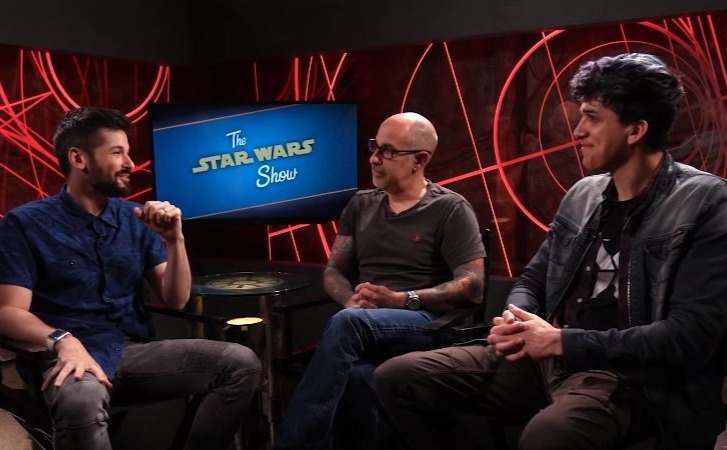 Yesterday a new episode of The Star Wars Show dropped and it featured an interview with one of the biggest creators behind Vader Immortal, David Goyer. Host Anthony Carboni sat down with Goyer, who wrote and executive produced the series, along with Mohen Leo, the director of immersive content for ILMxLAB. The trio spoke about various aspects of Vader Immortal, including recreating Darth Vader's Castle on Mustafar in VR, as well as the pitfalls of making new stories with the legendary Sith Lord. You can check out the full episode of The Star Wars Show below, which includes a report from a special screening of the Star Wars Resistance premiere, the reveal of an amazing new Lego set, and much more! As Goyer confirms in the interview, Vader Immortal will be a launch title that will debut with the Oculus Quest when it's released sometime next year.